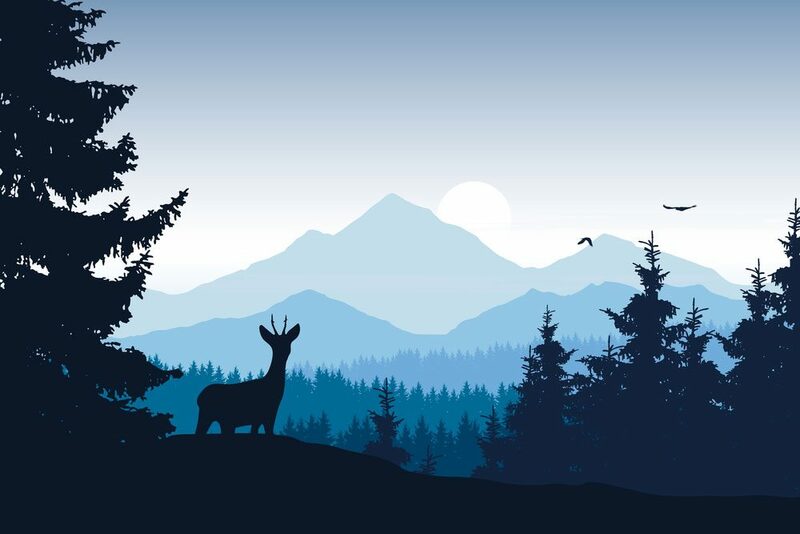 What Does Hunting at Night Involve? If you haven’t tried it, you might be asking yourself what the deal is with hunting at night? Another perk of hunting in the dark is the thrill that you will feel. Time spent outdoors at night always feel more exciting, so if you are a bit of an adrenaline junkie, you should give this a try. Besides this, it can be quite challenging which is something that people like me really enjoy. It gives you a sense of accomplishment. Sounds are much louder and more difficult to see. Most people just hunt during the day. But they don’t know what they are missing. Going hunting at night opens a whole new world of experiences. You no longer have to worry about running out of time. Some people set out as it becomes dark and exclusively hunt when it’s dark. They might stop when they have bagged their kill or at dawn. Otherwise, you can go hike and set out on a trip that will last one or more days. You can hunt during the day or night and camp out when you become tired. Although shooting in the dark is more challenging, it isn’t as hard as you think it will be. The key to being successful is to do some research and planning beforehand. You really want to be prepared. Vision is one of the critical senses any time you go hunting. Most hunters greatest fear about night hunts is that they won’t be able to see at all. Luckily, technology is there to help you out. There are fantastic products out there that will improve your vision at night. They can help you to see farther and also to see animals and your environment at night. 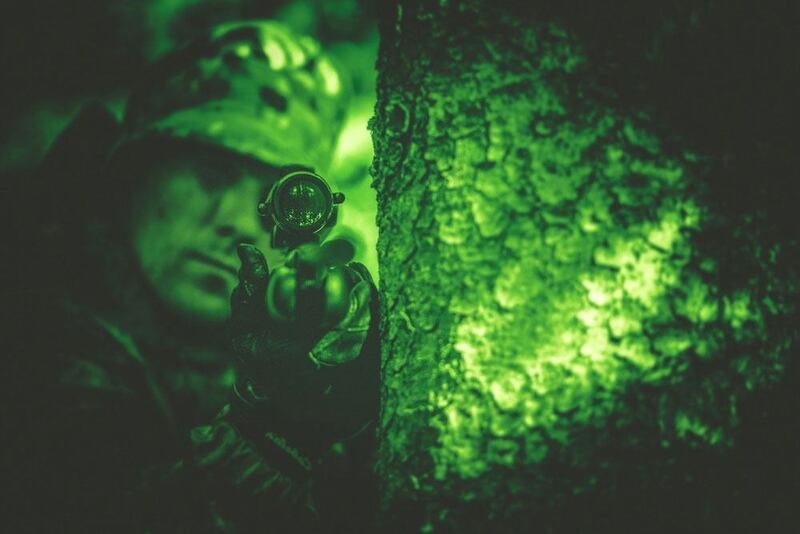 You definitely want to invest in right night vision gear. Other equipment that you should consider is the clothes that you wear. The same colors and camo that you wear during the day probably won’t work as well in the dark. You also want to think about getting some excellent camping gear. The experience of hunting at night can be a pleasant change from shooting during the day. You will be able to find other animals and need some new skills. Here at CleverHunters, we know that there is a lot to learn so we will try to answer as many questions as we can. As we have said, night vision gear is the most essential gear that you need to take with you. There are a variety of options that you can try from infrared to day and night vision binoculars. They differ significantly in price in properties so it can be intimidating to choose one. Many new hunters buy gear that they don’t need, or that doesn’t work the way they want it. You don’t end up with a closet full of things you can’t use. That is why we review the best night vision gear on the market like thermal monoculars or digital vision scope. If this isn’t your style, we even look at some lights that can be just as effective for hunting. It doesn’t help if you have the best gear but don’t know how to use it effectively. A lot of times products don’t come with proper instructions and guides. So stick around, because I am going to share everything I have learned about night vision gear. The section covers several topics like how you can attach night vision gear to your other equipment like crossbows. There are also other articles on more general usage tips. A tried and proven way to take your night hunting to the next level is to camp while you are out there. Once you have tried it, you will never want to go back. Camping means that you will be able to spend much more time outdoors. Depending on the location, setting up a tent and campsite will allow you to keep your equipment much closer to you. Most outdoor lovers adore the experience of camping. It is relaxing and gives you a chance to unwind. You will appreciate being able to go rest next to the campfire after a rough day of hunting and tracking. The first thing you need to know to go camping is how to pitch a tent. Another thing that you need to be prepared for is how to manage different weather conditions. One of the most common challenges you will face is rainy or wet nights. We also have some articles for the more adventurous hunters that will attempt to go hunting in winter and snowy environments. You can never learn enough about hunting at night. I have found throughout the years that there are always more new things that you can try. These tips and tricks are going to help you to make hunting more accessible, more effective, and safer. One of the basic topics that we cover is how you should dress depending on the season. You should remember that conditions like the temperature can change quite dramatically at night. Before you set out, you need to know what animals you will be able to find at night. There are some animals and birds that you shouldn’t expect to find. Let me know in the comments if there are any hunting questions that you need answers to.